Robots are making a mark in the lodging business, helping guests check in, hook up to a property’s internet and familiarize themselves with a hotel and its neighborhood. Some robots even have names. There’s “Connie,” a collaboration among Hilton Worldwide, IBM and travel search/discovery firm WayBlazer, at the Hilton McLean in Virginia. There’s Savioke’s Relay “Botlr,” a robotic bellhop at select Starwood Aloft hotels. And there’s “Mario,” a multilingual robot at the Ghent Marriott Hotel in Belgium that was field-tested in the healthcare sector in France, the Netherlands, Switzerland and Belgium. A panel of hospitality experts told the Americas Lodging Investment Summit in Los Angeles in February that hotel robots delivering amenities to guests and/or cleaning rooms will be the norm in the next five years. They speculated that falling technology costs and increased guest familiarity with such machines would spur that growth. There’s no denying technology is taking over, both for families and for business. Savioke’s “chief robot whisperer” Tessa Lau told ALIS attendees that the novelty factor has led to families taking “robot selfies” with their cellphones. Not only do these learning machines help guests with the hospitality process, they make for marketable stories and images and in effect become mini-tourist destinations themselves, as if they have personalities. Nevertheless, while they can handle some guest demands—and even improve them, thanks to their learning capabilities—they’re no substitute for the real thing, the human touch. 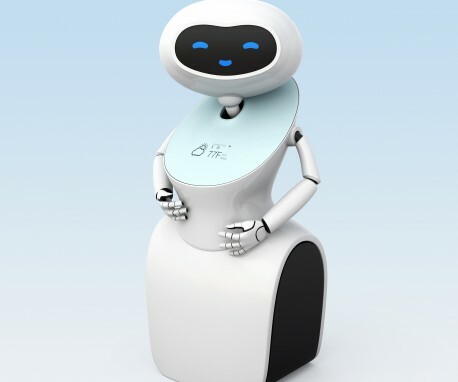 Robots can help with “simple things” like making dinner reservations and helping guests connect to the hotel’s Wi-Fi, but staff should perform tasks that require the human touch, she suggests. The key is finding a balance between high-tech and high-touch, however, and the latter is ultimately what counts. Will robots replace workers and potentially save on costs (Savioke’s Lau said hotels typically lease a Relay robot for $2,000 a month)? “I don’t know if hospitality would really go into that full force,” Grossarth says. “Having a completely automated product just doesn’t appeal to experience or people’s emotions.” An emotional attachment is paramount in gaining guest loyalty and repeat business.